Enlarge Enlarge Enlarge Enlarge Cable Crossover. 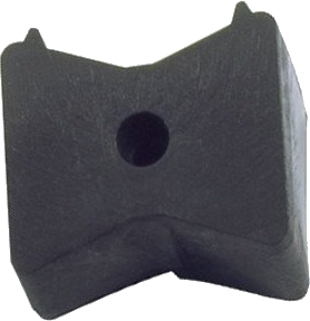 Lid load bearing capacity per typical tyre imprint (20x20 cm): 5 tons. Crossover lengths are joined by individually available connector plugs. 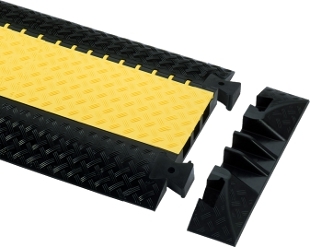 Each crossover is supplied with one pair of connector plugs. 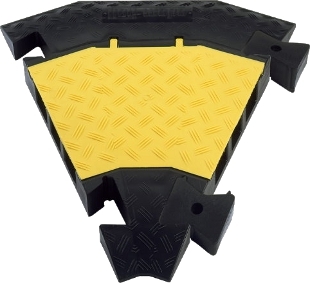 The lid closes down onto a patented "interlock zipper" which is moulded into the base and lid - no Velcro to tear off or clog with dirt. A complete range of accessories expands the Defender II into a flexible system to protect your cables and multicores. Basic module with patented interlocking lid. Connector plugs are available in pairs only. 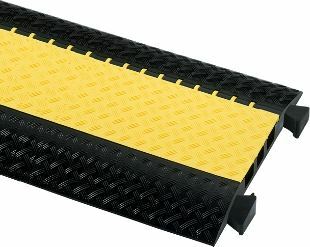 Enlarge Enlarge Enlarge End ramp for cable outlet reduces the risk of tripping. Enlarge Enlarge Enlarge Cable Crossover 45 degree curve with connection.